With some slight using signs. Original PRADA hallmarks on two outer sides of ear pieces. 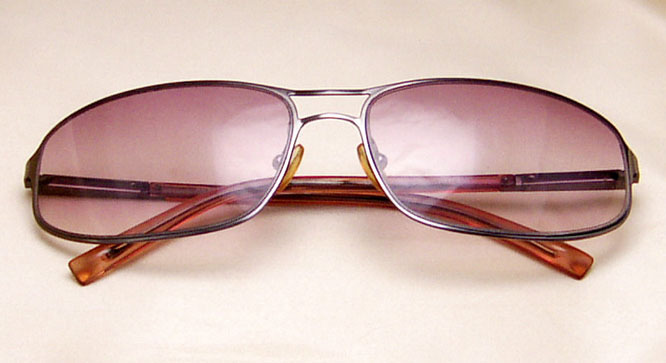 >> EICCO<< imprint on the right corner of right light Brown gradient lenses. The frame is GUNmetal. The ear pieces made of a GUNmetal and Brown acetate. Vertical height of the frame: 37 mm. Horizontal width from the end to end: 140 mm.